When we had Matt, we used to buy disposable diapers. We tried almost all of the brands in the market to compare and find what fits Matt. Every payday, we bought two large packs for just half-month consumption. Good thing that Mommy joined some mother-related forums which she encounters the “generic” diapers. These diapers are not sold in groceries and most likely distributed by online sellers and local palengkes. We found a brand that has the same quality with what we used to buy but a bit cheaper. 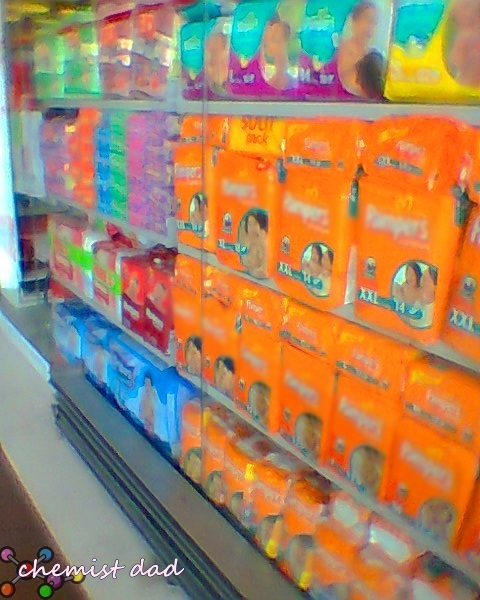 So we shifted in using these “generic diapers”. On further researches, again, Mommy got interested in buying modern cloth diaper. At first we bought 3 sets but we are disappointed in its quality so Mommy keeps on searching for other brand or variety of cloth diapers and buy another 2 sets for trial only. With the new one, it seems of good quality so we bought another 4 sets and extra inserts which we are using until now. There are some advantages and disadvantages of using cloth diaper. 1. It is expensive at cost of 280 per piece which is already equivalent to a pack of 24-piece disposable diaper. One piece is not enough so you need couple more sets. 2. You need to have enough stocks of the insert especially during rainy season because it is really hard to dry them up. 3. You must be patient in washing the cloth diapers. 4. The absorbency of the inserts will deteriorate in the long run. 1. In contrast to the 1st disadvantage, it seems that you will save a lot in using cloth diapers. Just take a look on this comparison on its cost. Now, which do you think is much cheaper to use? 2. With respect to 2nd disadvantage, you dry them faster if you have dryer at home. Remember that cloth diapers are washing machine safe. 3. In contrary with the 4th disadvantage, yes it is true that absorbency deteriorates but this is only due to soap residues accumulated in the fabric. This can be solved thru "stripping" procedure that will bring back the insert's absorbency. 4. You will help save the environment. Before we used to have two sacks of garbage collected by the garbage collector every week. One of them is almost disposable diapers. But now, our garbage has been reduced to only have a sack every week. 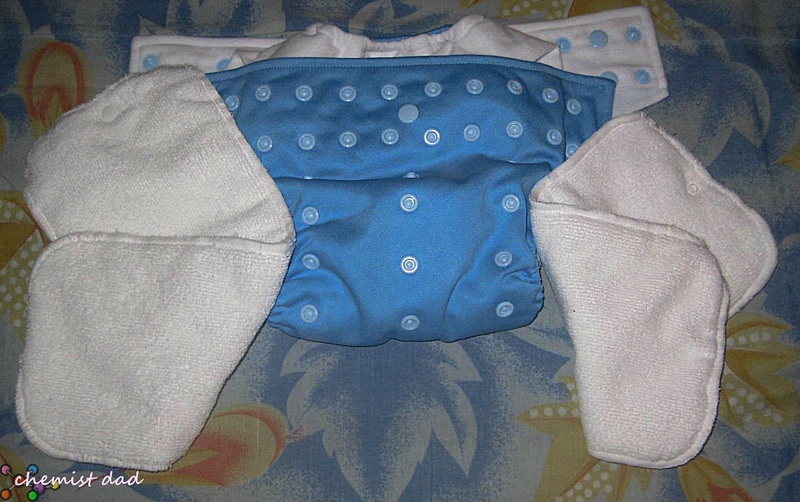 Furthermore, disposable diapers are made of materials that are hard to decompose. 5. We also noticed that before Matt turned two, he was already potty trained. 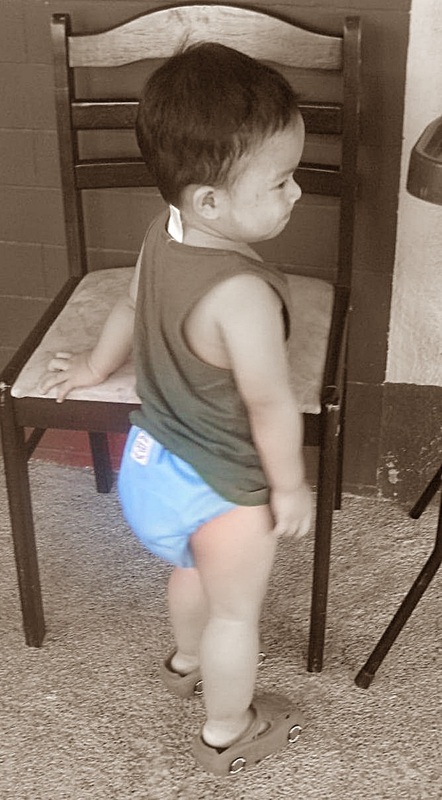 Now, he only wears cloth diaper before he went to sleep. 6. You can keep the used diapers properly and can be used when you got another baby. 7. There are lot of colors and designs available. 8. 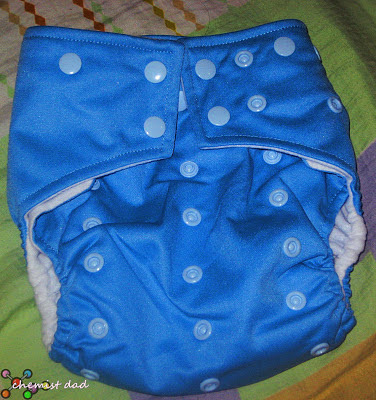 For me, safety of my son is really important so I consider cloth diaper to be much safety that disposable ones because it does not contain harsh chemicals used to turn the urine into gel. Like me, fathers must also have such idea on this issues like this not only to learn on the savings but to learn more as being parent.